If you try to find a binary options trading system, you probably are just going to call up a list of scammy offers on Google. Binary options trading is popular among people who aren’t really interested in doing the work, but that doesn’t mean that everyone in the world wants to waste money on useless signal services or on systems that aren’t going to do the trick. If you want to actually find a real trading method that you can use, you may have better luck looking on a site like Forex Factory, where FX traders share many great (and not so great) trading methods for free. How can you adopt a currency trading system to binary options? Forex systems usually rely on fundamental or technical analysis or on price action. You can use any of these to plan your own trades. There are some differences in the way that Forex trading platforms and binary options trading platforms work, and you’ll have to account for that when you decide to select and use a trading method originally developed for FX trading. When you trade binary options, you may or may not be permitted to choose your own expiry period. Most platforms select one for you, which means that even if you find a great setup, you may or may not be able to trade it. You need to think of the expiry period like you’d think of a target profit in Forex trading. You basically have to constrain yourself into only placing trades which are moving in the right direction indicated by your system, and which will close within a reasonable timeframe. So going back to our moving average crossover example, perhaps the system was set up for use on hourly Forex charts, and most of the trades would have target profits which would be reached within a day. If you saw a bullish signal with this system and then turned to your binary options trading platform and saw only five minute expiry times, you wouldn’t want to enter. Likewise, if the expiry times were all a week away, you wouldn’t want to trade. But if there were an expiry time available which is around where you’d set a target profit with the original system, you could perhaps enter that binary options trade. 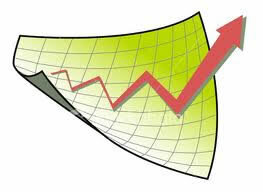 Some good features to look for in a trading platform for binary options include rollover, double up, and early closure. Rollover and double up are ways you can add more funds to a trade that’s going well or extend it past the original expiry time. This is the equivalent of deciding to stay in a trade past the original take profit margin in a traditional Forex trade. Early closure isn’t the same as a stop loss, but your “stop loss” is always set for you when you enter a binary options trade. It’s the same thing as if you simply cut out of a Forex trade early. You could use it as an alternative stop loss (one which you’d have to exercise manually) if you felt that the risk of losing the entire trade was too much. In other words, after things had gone against you to a certain extent, you could simply exit the trade early, saving yourself some money. Forex systems can be adapted to binary options trading. It’s easiest to adapt them to trading currencies, but some systems work great for stocks, futures, and indices as well, with some minor adjustments. The biggest challenge when adapting a system to binary options trading is probably the issue of timing. In traditional Forex trades, a trader can enter or exit any trade at any time. With binary options trading, the trader must pick a trade not only based on the direction he or she believes price is moving, but also based on whether the expiry time is ideal. This poses an additional challenge, but with testing and discipline, it may be overcome. Testing is another challenge that results, however, because there’s no way to find out what the historical expiry times available would have been for a particular trade setup, or even whether binary options for that setup would have been available. This gives results a tentative air, and translating backtesting success into real life may be more difficult than it would be with traditional trading. Despite these challenges, this is really the most responsible way to go about binary options trading, and probably will result in the greatest success. Start looking up trading methods which were developed for use with traditional Forex or stock trading or for trading futures or indices. Find some methods which appeal to you, and start testing them on old data, but remember the additional timing challenges you’ll have to face with binary options trading. At least you’ll have a trading method though, and at least you’ll actually understand the difficulties you’ll be facing before you invest your own money. If you’re serious about making it as a trader, you’ll accept those challenges instead of casting your fate to the winds and pretending that you can rely on luck and instinct alone to become profitable.